One of the biggest attractions at Con/Agg this year was the 3D printed excavator. 1. Horizontal integration of IoT - The Internet of Things isn't new. Many people have a fitness tracker, but few construction businesses are really using sensor connected hardware. 2018 is the year people will put sensors on everything (trucks, boots, tablets, hats, etc.) in the vertical and horizontal construction space. Then they will work hard to connect that data to every other piece of data that they can. This horizontal integration of IoT is going to make the job site as efficient as its made the factory floor. 2. Data Analytics for Big Data - Data capture has been around for a long time, but understanding ALL the data coming from sensors is key. Analytics and decision making is easier than ever before because vendors exist that can help you draw conclusions from that data. Microsoft Business Intelligence is a good example of how data analytics is now widely available. Any company can use this tool to take their existing data sets and turn them into visualizations, stories and reports. In construction, data analytics is poised to help companies do business in a much more efficient way. 3. VR gets incorporated into existing platforms - Virtual Reality will go from a novelty to a necessity in construction. Construction is a physical business and it can't be done well if the team that is planning, bidding and constructing is not familiar with the site. 2018 will be the year that VR gets incorporated into established software platforms, rather than existing in its own silo. 4. The Ubiquity of AI - The ability for computers to learn and detect patterns is powerful. Machine learning is impacting construction project planning, fleet management and structural damage assessment. What is new in 2018 is how ubiquitous this will become. Pittsburgh is a world leader in Artificial Intelligence, and CMU spinoffs are working to make AI as easy to use as an iPhone. 5. Robots - There is no doubt that robots are getting more sophisticated, and they can be made quicker and more cheaply every year. 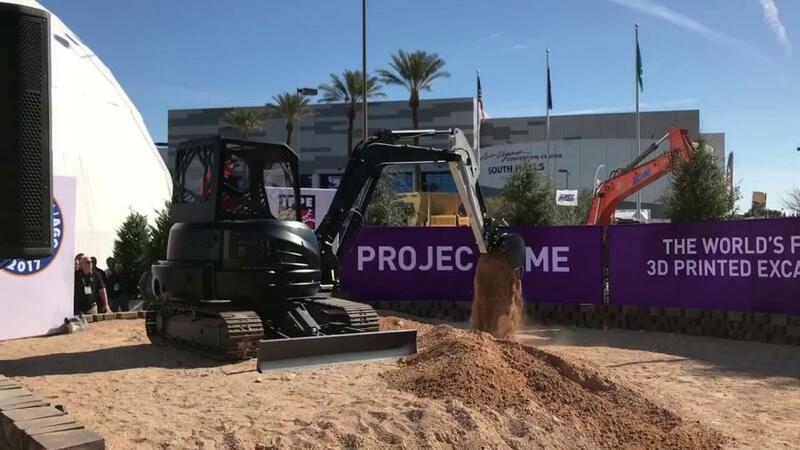 One of the biggest attractions at Con/Agg this year was the 3D printed excavator. In addition, there are also driverless vehicles which are starting to spread into the construction space with a driverless electric truck by Tesla and driverless bulldozer by Built Robotics. However, as technology improves, some of the core aspects of robotic “thinking” will get better as well. Major advances in Lidar will have a big impact on safety issues like remote sensing, and collision avoidance.